A new software can help people donate leftover food by posting online. A new software prototype called eFeed-Hungers makes it easier to donate extra food, which might otherwise go to waste. When he moved to the US in 2006 to continue his education, Sharma says he quickly recognized hunger was not just a problem in India. What he found most troubling was the amount of food going to waste—in both countries—when so many people go without. After reading about elementary schools sending food packages home with students, Sharma decided to make hunger the primary focus of his research. A program that distributes leftover food from catered events to the homeless in India inspired the vision for the online, interactive network, Sharma says. Restaurants, grocery stores, and individuals can use the mobile-friendly software to post food they have to donate. Likewise, those in need can find nearby locations where food is available for pickup. The researchers designed the software so donors take the food to a public place, such as a food pantry or church serving free meals, for pickup and distribution. It allows for one-time and recurring donations, so businesses or individuals do not have to enter their information repeatedly. Sharma says the interactive map makes it easy to search. Each location appears with a flag to indicate the type of food, and hours it is available. 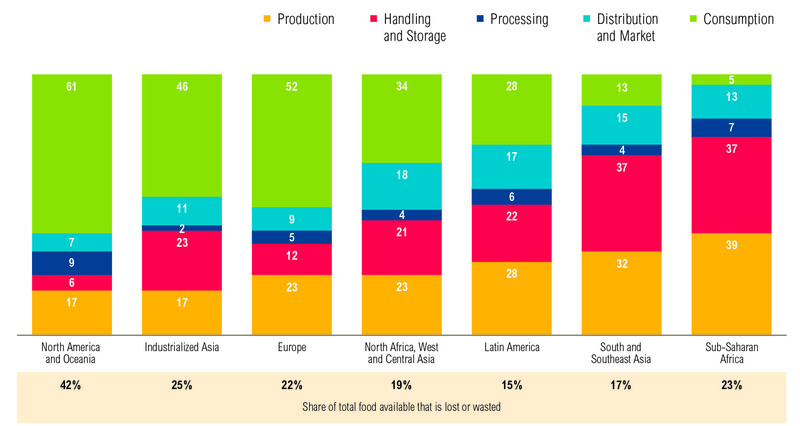 Food: how much does the world need? Researchers continue to test the prototype and plan to launch the site for the Ames, Iowa, community in late summer or early fall. Sharma says they are working on funding to provide education and outreach for restaurants, food pantries, churches, and residents interested in participating. Their goal is to add gradually other cities and regions that may benefit from the tool.